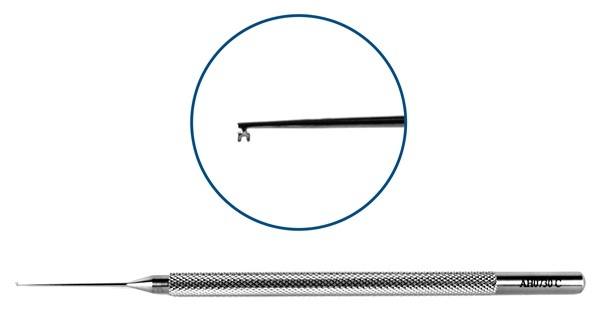 Straight shaft, blunt finger-like tip, 0.5mm two-prong, K-shaped tip. Round handle. 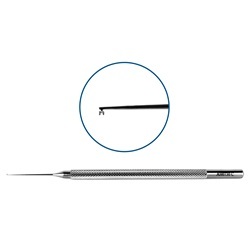 Overall length: 114mm.